It’s not everyday people throw cancer themed parties. 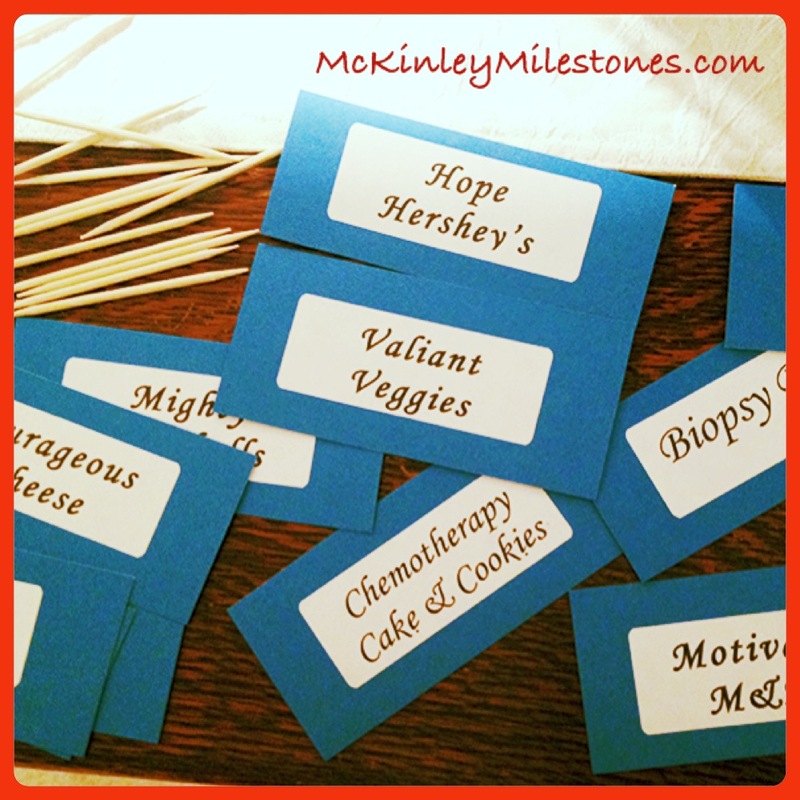 If someone you know and love is up against Chemotherapy/Radiation possibly a cancer themed party is the perfect way to send them off into battle. Great way to spread awareness! 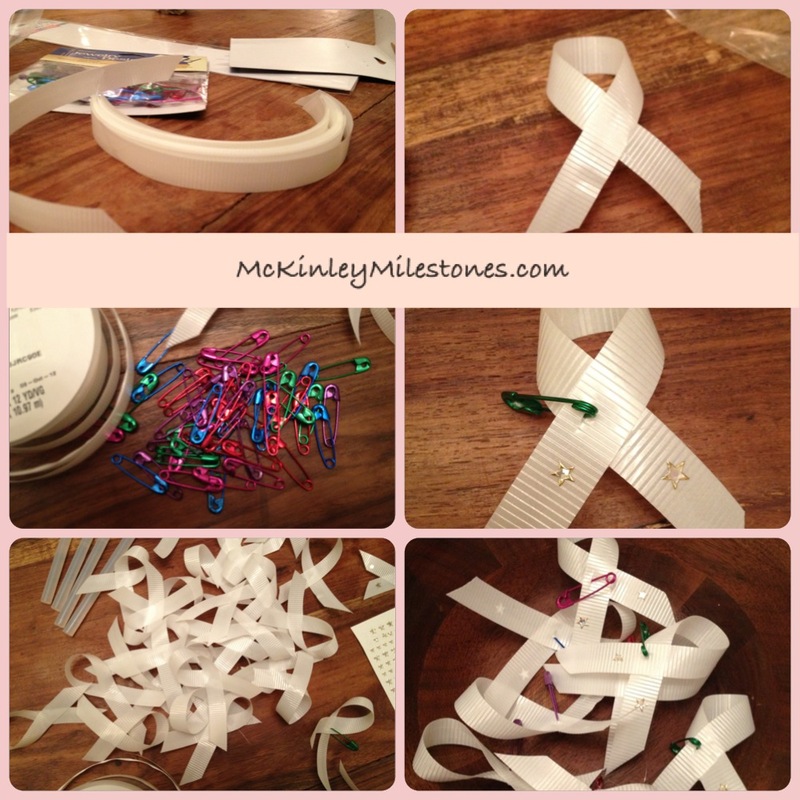 And give something to your guests to show support! We made name tags for the different types of food and nibbles we were serving. “Courageous Cheese” and “Motivating M&Ms”. This is a bite awkward, but after all it is also a Cancer a themed party.